You've written 3 event planning books with another soon to be released. What inspired you to write them? Mark - "I've been married for over 35 years and have received four of the greatest gifts a strong union can give. My two sons, daughter-in-law, and granddaughter. I did not know such joy existed. I just want to share the value of commitment with everyone. Nothing comes close to the deep satisfaction and joy committed family life holds. I tried to include those sentiments in my books,"My Keepsake Wedding Planner"and "Fimark's Family Reunion Planner and Keepsake." 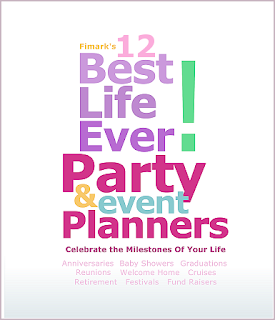 My latest project to be released this month is "Fimark's 12 Best Life Ever Party and Event Planners". I think it's my best work yet." You have been planning and throwing entertaining events since he was but a boy? Mark - "Yes. My extended family was always close knit. Aunts and uncles would come to visit and provide their own entertainment in the form of stand-up comedy, singing, home cooked dinner, baked cakes and cookies, and mellow jazz at it's best. After dinner and dessert, Dad would always stand the kids in front of the family and allow us a few minutes to entertain them. Leon Carter Askew the second, my older brother played guitar or piano. I usually displayed my hand drawn cartoon characters or handcrafted puppets. 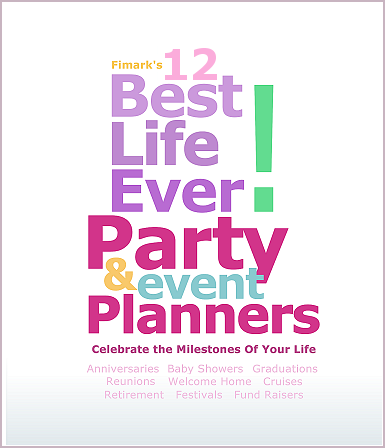 I think event planning has a way of rekindling those nostalgic moments and filling the air with laughter and good cheer." Like any child, You had your challenges. What were they?